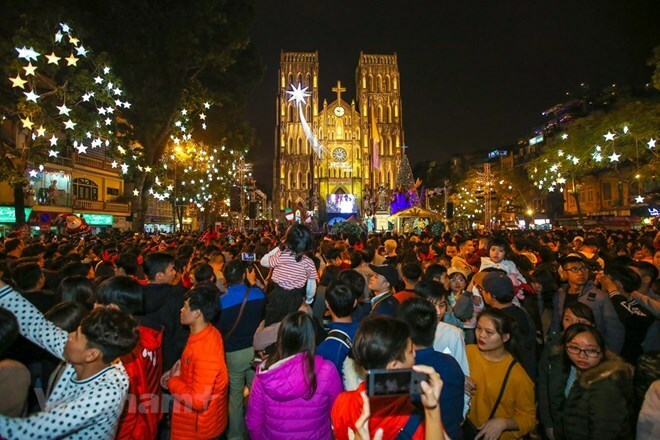 According to Spokesperson of the Foreign Ministry Le Thi Thu Hang, Vietnam has spared no efforts in improving the legal system and policies in the field, and recognised 42 religious organisations as legal entities. Religious organisations have got involved in social activities such as establishing more than 450 health facilities and 270 kindergartens, and supporting 11,800 social welfare beneficiaries. In 2016, the Board of Representatives of the Church of Jesus Christ of Latter-day Saints was recognised. The Hieu Nghia Ta Lon Buddism and the Vietnamese Full Gospel Church were granted certificates of registration for religious practices in 2016 and 2018, respectively. The State has facilitated religious organisations in printing and distributing scriptures and religious supplies. Most of the religious organisations have their own websites. International cooperation activities of religious individuals and organisations are developing strongly.